Halfway through March of 2014, we rebuilt our LIEBHERR 974 demolition excavator, whose reach was upgraded from 42m to 55m. We believe it is one of the highest reaching machines in Europe. There are only a few of these out there. 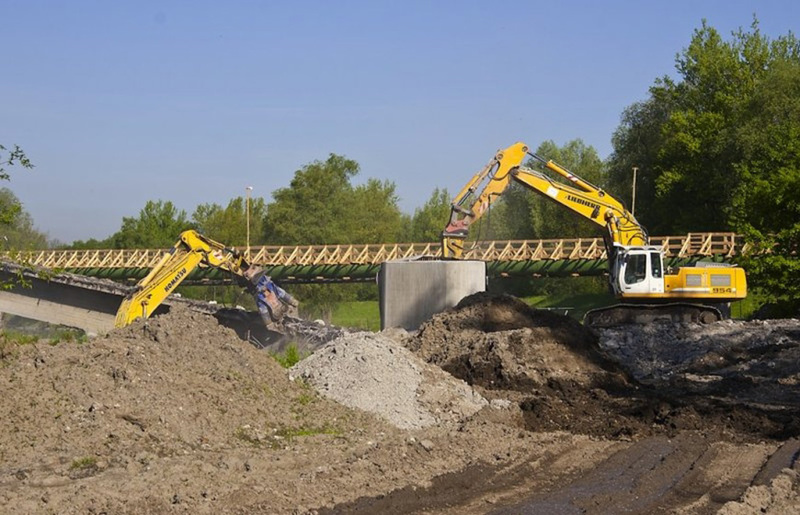 An excavator is characterized by its multi-functionality. The excavator can even work with 20-24t of tools. The excavator weighs approximately 180 tons in the complete composition. 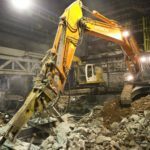 We have plenty of various bits of attachments, rating from 2t to 13t for demolishing and sorting of reinforced concrete as well as steel constructions. 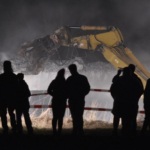 The excavator is also equipped with various cameras and a sprinkling system placed near the working tools to reduce the amount of dust during demolition.